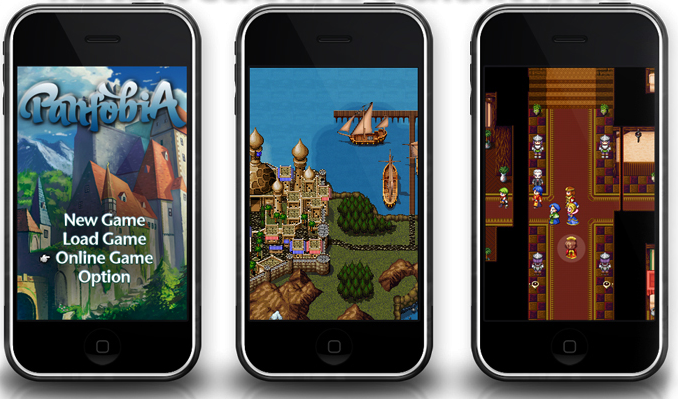 TUAW notes that Italian company Kiki Technology has preannounced what they are calling the “first RPG on iPhone". Unfortunately for them, they missed that milestone after Vay shipped just last week. Still, they do earn marks for what appears to be the first Role Playing Game (RPG) designed specifically for the iPhone. While their English translation is a bit spotty, they claim that their game, PanfobiA, will offer a full RPG story featuring old style graphics and new controller experience with no less than 100 hours of gameplay in single player mode. Once you complete the single player story, you will be able to use your character and items to play in an online multiplayer world. No release date has been announced, but their approach somewhat mimics that of Danielle Cassley and Jason Citron who developed the popular (and free) game, Aurora Feint. Aurora Feint also claims to be the first episode of what will eventually become a multiplayer online game. Previous PostPrevious ‘Galcon’: The Perfect Pick-Up Strategy Game?